Make your office chair more comfortable with this lumbar back support. Ergonomic design includes thick memory foam molded to cradle your spine. 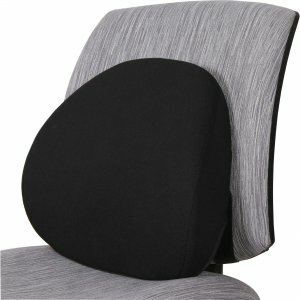 Lumbar back support is covered in fabric for smooth contact. The thick elastic band attaches easily to your office chair.